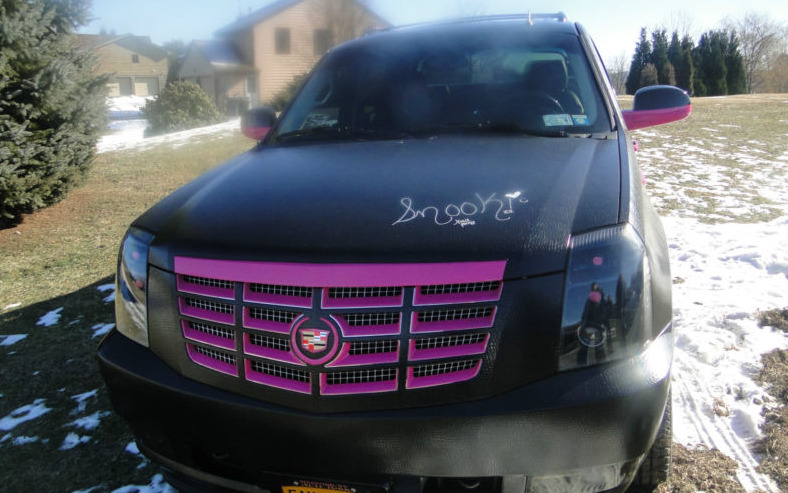 Nicole Snooki Polizzi, of MTV’s “Jersey Shore” fame, is selling her Escalade on eBay. The SUV looks just like what anyone familiar with Snooki’s television personality would expect. The 2011 EXT Luxury pickup has just 6,295 miles on the odometer. The black exterior has been wrapped in a faux reptile skin and spiced up with a lot of hot pink touches. Snooki also added leopard print mats, and even signed the hood in pink. According to the eBay listing, the seller is a family friend of Snooki’s. The auction will close Sunday evening, and bidding is already up to $68,100. Head to eBay for more details, photos, and to place a bid.